Download our latest TOGAF 9 poster. 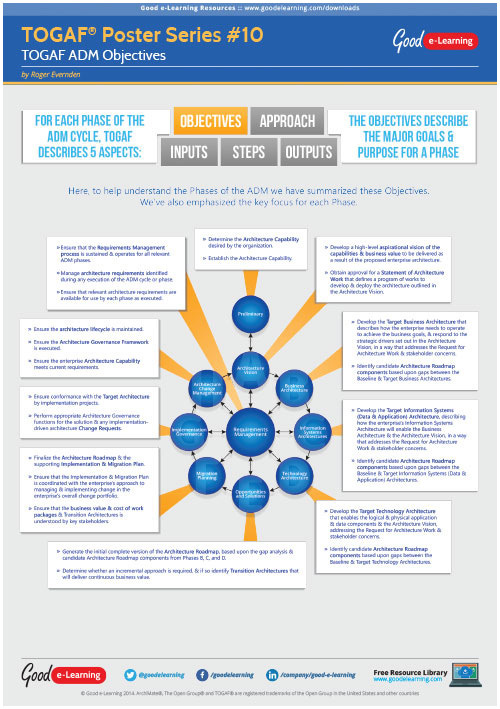 Here, to help you understand the Phases of the ADM we have summarized the key Objectives. We have also emphasized the key focus for each Phase.